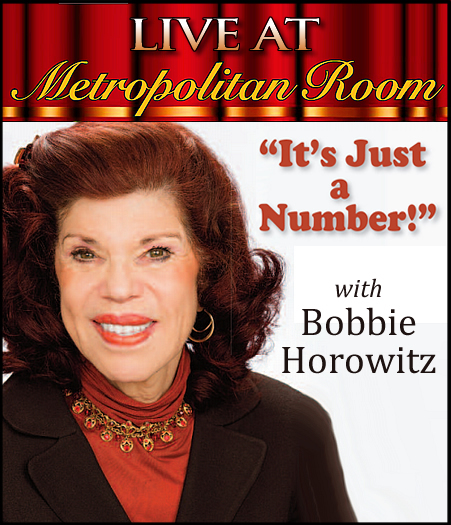 This series at The Metropolitan Room, hosted by songwriter, performer, producer, Bobbie Horowitz, intends to open America’s eyes to the fact that every age can be filled with vitality. People over age 50 are still cookin’! Teens, 20, 30 & 40 year olds come on in to see great performers & learn you don't have to fear getting older. It's just a number! In each show Bobbie will honor a person age 50, 60, 70 or beyond who has begun a new career, pick up an old career they gave up on, took on a new undertaking, gone back to school to learn a new skill, etc. In 2015, those aged 50 and older represent 45% of the U.S. population – and the number will continue to grow! Many seniors and Boomers can and want to do more than merely order Health Alerts and we’re showing them they can!